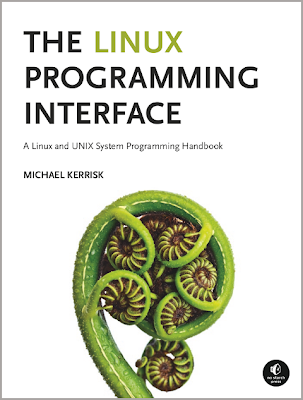 Production of my book, The Linux Programming Interface, which provides a detailed description of Linux and UNIX system programming, has stretched out longer than I and No Starch Press were hoping, but by now we're getting close to the end: the book should appear in June (I'll post more precise dates on my other blog as we get closer to publication date). In the meantime, I've made the first steps toward building out a web site for the book. Most notably, I've started putting some sample some sample code from the book online. Take a look here to see the code from Chapters 3 to 12, and send me comments at mtk AT man7.org, if you want. Updated 1 May 2010, to correct email address.